Preparing a manuscript for publication can be daunting but it needn’t be. Gaining some knowledge about what publishers are looking for and how to add that extra edge and polish can make a difference. A short weekend course at the NSW Writers’ Centre offers an opportunity to review your manuscript in preparation for submitting to publishers. This course is not for beginners but for those who have already completed several drafts of a manuscript and are seriously ready to critique and edit their work before sending it off to publishers. Participants should be prepared to give and receive constructive comments and feedback. Brush up on how to review a work objectively; how to avoid common pitfalls; how to enhance the best features of a fiction narrative; how to edit and polish a work of fiction and how to format and submit a manuscript to publishers. ………………………………….Garry Owen House, Callan Park, Balmain Rd, Rozelle. Enter the former park grounds from the Balmain Road gate opposite Cecily Street and follow the green signs to the NSW Writers’ Centre. If you have got to that stage where you need to take a good objective review of your manuscript, this short course Manuscript Polishing Kit is for you. Commonwealth Short Story Prize-winning Stories announced. on the Commonwealth Foundation website. And remember to write a story to enter next year! Available from May 2nd, 2011 in all good bookshops. Published by Allen & Unwin. 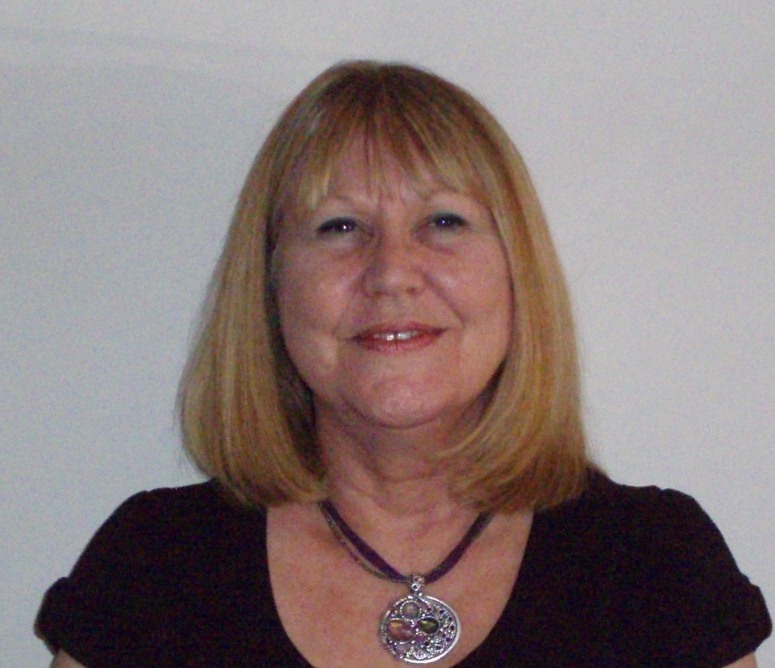 Avril is a Transpersonal psychotherapist with over twenty years’ experience. She also reviews films. Avril is a regular Season of Inspiration writer and all at SOI send our congratulations to Avril on the publication of her latest book. Good friend and colleague, Susanne Gervay has a picture book for children to add to her extensive list of books and stories, including her story ‘Days of Thailand’ in Fear Factor Terror Incognito. In a unique collaboration, award-winning author Susanne Gervay and award-winning illustrator Anna Pignataro have created a moving and significant picture book, Ships in the Field. It crosses boundaries in a universal recognition that children are part of the journey of war, migration, loss and healing. Through warmth, humour, pathos and story within story, it breaks the silence engaging children, families and community. Susanne’s parents were post war Hungarian refugees who migrated to Australia. Anna’s parents were post war Italian refugees who migrated to Australia. They are a part of the many immigrant and refugee stories that make up Australia. Nichola Garvey, UTS Alumna and current editor of UTS “Writers Connect”, has just released her biography of Alan Tripp. Alan Tripp, a man some call a genius and others call a criminal, became the world’s most successful private bookmaker. He was Australia’s most convicted SP bookmaker and was the prime target of gaming and vice squads around the country in the 1980s. Yet he would eventually sell his businesses for hundreds of millions of dollars. This is his story. Starting-price bookies, although illegal, were long a feature of Australian life, giving punters the opportunity to have a bet away from the track. But with the rise of the TAB, police were ordered to stamp out all other off-course bookmaking in order to protect the state governments’ monopoly. Alan Tripp, the biggest SP bookie in Australia, was their number-one target. His punting clientele ranged from the high society of Sydney to the underbelly of Melbourne, and included Prime Minister Bob Hawke, media baron Kerry Packer, gangsters Lewis Moran and Alphonse Gangitano, and underworld figure Mick Gatto — as well as many leading trainers and jockeys of the day. Tripp’s life quickly became a rollercoaster of high-stakes gambling, with the dual threats of bankruptcy and prison never far behind. 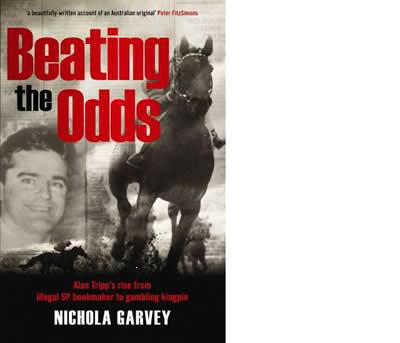 In a fearless and thrilling narrative, Nichola Garvey recounts the drama and intrigue of the life of Alan Tripp, the billion-dollar bookie who beat the odds. My dear friend and colleague in Delhi, India, Sujata Sankranti is about to release her latest book ‘In the Shadow of Legends’, published by Rupa, Delhi, India. 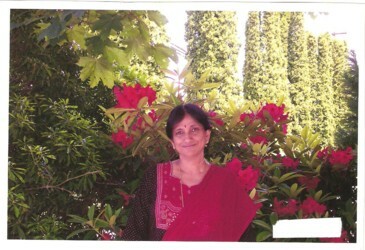 Sujata has joined us in a previous Season of Inspiration forum too. 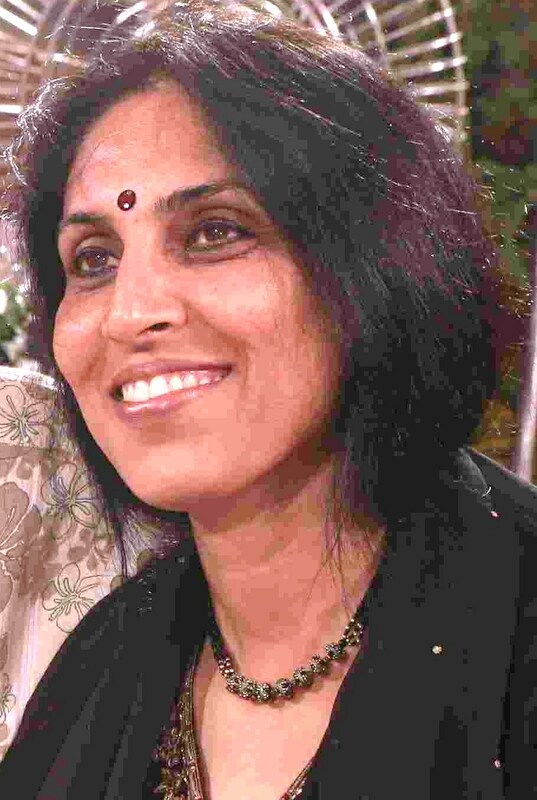 She is the author of “The Warp and the Weft”, Shristi, India. Sujata was overall winner of the Commonwealth Short Story Prize in 1998. Her story ‘An Eye for an Eye’ appeared in Fear Factor Terror Incognito, Pan Macmillan Picador India and Picador Australia. At Season of Inspiration we are putting together a Memosaic of our writers’ work. A collection of inspired pieces from our SOI writers past and present to be published electronically. Helen and I are assisting our SOI writers’ to revise, edit and polish their stories and poems for our Memosaic. Helen Whitehead is designing the visual interface for the web, from ideas put forward and discussed by our Season of Inspiration writers. I’m very excited about this project and am looking forward to launching our Season of Inspiration Memosaic in September. What people see out of their window at Noon – Contributions from around the globe. have appeared in various print and online publications. 1998 winner Sharon Rundle was introduced to the editor Dr Meenakshi Bharat by another former winner Sujata Sankranti from Delhi, and together they have edited an anthology of well-known and emerging writers from Australia and the Indian subcontinent. Entitled “Fear Factor, Terror Incognito”, it was released at the end of July 2009 by Picador India; and in October by Picador Australia. Sujata has also published a book of her short stories, ‘The Warp and the Weft’. Sharon Rundle and Sujata Sankranti corresponded for over a decade before meeting in Dehli last year, highlighting how the Short Story competition encourages people-to-people links around the Commonwealth. Fear Factor: Terror Incognito is a collection of 20 unforgettable stories by well-known and emerging authors from Australia and the Indian subcontinent including David Malouf, Salman Rushdie, Neelum Saran Gour, Tom Keneally, Rosie Scott, Jeremy Fisher, Susanne Gervay, Tabish Khair, Denise Leith, Andrew Y M Kwong, Devika Brendon, Gulzar, Meera Kant, Guy Scotton, Sujata Sankranti, Kiran Nargarkar, Temsula Ao, Jaspreet Singh, Janhavi Acharekar and Meenakshi Bharat; with a foreword by Yasmine Gooneratne. In Short: Fiction. Weekend Spectrum: Books. UTS Alumni Writers Connect Autumn Issue, April 2010. Write a review of a book you have recently read. You can contribute to Book Review Magazines, Book Review Blogs and other online reviews such as ABC Bookshop Online and many others. You can start your own Book Review Blog. Check the Magazine or Website Guidelines for the preferred word count, style and type of publications reviewed. Most have a link for ‘submitting’ reviews with their Guidelines and Address for submissions. Try writing a review this week. 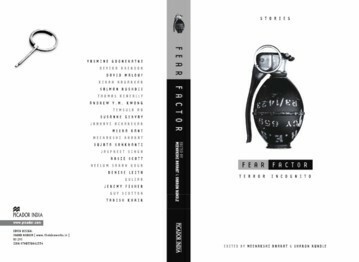 To return to Australia now, plans are underway for the Gosford Preview and Sydney Launch of Fear Factor Terror Incognito, due for release on March 1. Co-editor, Meenakshi Bharat and contributing author, Sujata Sankranti will be here for the week during which the book will be launched. Susanne Gervay, Andrew Y M Kwong, Carol Mara and I are looking forward to showing them Sydney, the NSW Central Coast and the Hunter. I believe everyone is looking forward to the book Preview and Launch. The Sydney launch at The Hughenden Boutique Hotel promises to be a stellar night with distinguished guests , almost all the authors, as well as members of Australian-Indian associations planning to attend. Award winning author, Melina Marchetta will launch the book. The Gosford Preview at the Gosford Regional Gallery is shaping up to be another exciting night with authors, local identities, members of the Australian-Indian communities, medics from the medical community, media, local organisations and more. Professor Sturmberg, A/Prof of General Practice at Monash University and The University of Newcastle, will launch the book at the Gosford Preview. Invitations and a Press release have been sent out by Picador Australia to both these events. An article in the Commonwealth Foundation Journal features Meenakshi, Sujata and me. Read the online version of Short Story competition winners forge international links. Fear Factor Terror Incognito is also mentioned in a news item on the Asian Australian Studies Research Network website. Meenakshi and Sujata will be keynote speakers at the University of Technology Sydney, TransForming Culture Research Centre & Round Table Writing Anthology Panel, where they will discuss terrorism as it affects our day to day life and in relation to the newly released book Fear Factor Terror Incognito. Invited panellists are contributing authors: Meenakshi Bharat, Sujata Sankranti, Rosie Scott, Susanne Gervay, Andrew Y M Kwong and Tom Keneally. Chair is Devleena Ghosh. The Anthology Panel will be held on Monday 15th March – 6pm for refreshments – 6:30 – 7:30 pm Anthology Panel at the UTS Gallery. UTS TFC will send out invitations for the Anthology Panel shortly. 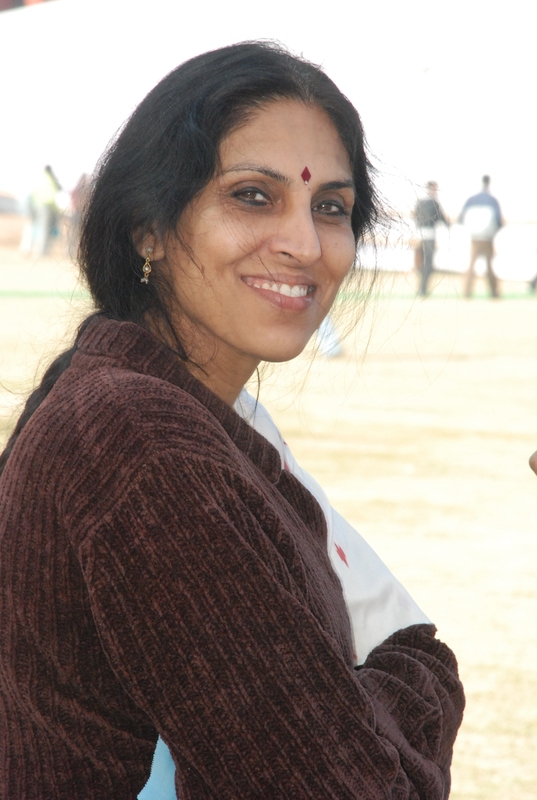 Sujata Sankranti is author of The Warp and The Weft and has recently completed her novel In the Shadow of Legends. 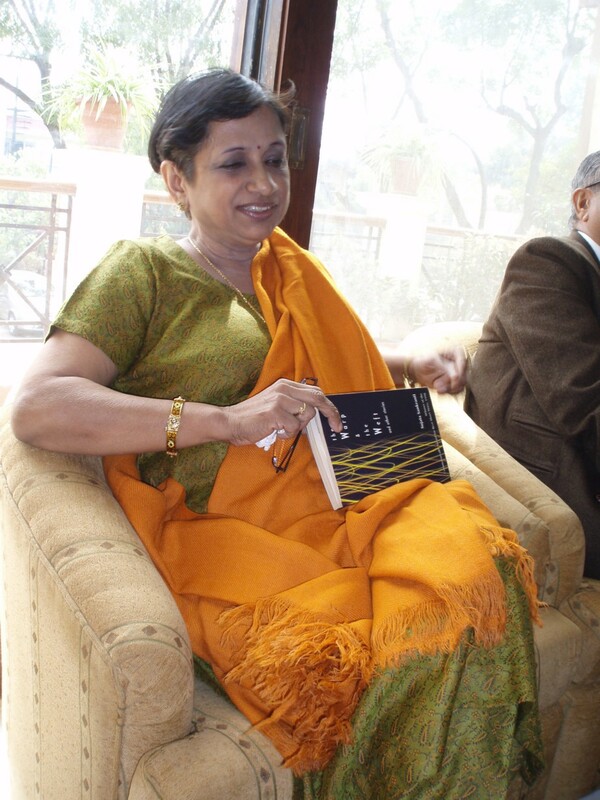 Sujata was overall winner of a Commonwealth Short Story Prize. She is retired Associate Professor at Department of English Sri Venkateswara College, University of Delhi. She is currently working on a new novel. She edits a Youth Journal. Sujata is of the Mavelikara Royal Family, all of whom are famous in one or another field of life. Recent media report about Sujata. It will be a real rare treat to have Meenakshi and Sujata with us for a few days and it is shaping up to be an exciting and fun time. Polish a short short story suitable for the Commonwealth Short Story Competition. Your story should be around 600 words or 4:30 mins long. The story should be written for broadcast on radio, so make sure it is auditory – read it aloud and tape it. Sound is the most important feature when writing for radio – the narrative voice and tone needs to be just right, the prose must have a pleasing rhythm when read. It is a challenge to write a story contained in 600 words or less but a great joy when it works. Winning a Commonwealth Short Story Prize is a huge honour, achievement and a great buzz.